In recent remarks, Major League Baseball commissioner Rob Manfred indicated that he wants to see more progress in the Tampa Bay Rays‘ ongoing ballpark search. This comes as the team continues to consider its options for a site. In their ongoing effort to leave Tropicana Field in St. Petersburg and secure a new facility, the Rays have been considering locations in both Hillsborough County and Pinellas County. Rays owner Stuart Sternberg says that the team has been narrowing its options, but there is still no word on where a new ballpark deal will be pursued. “As I’ve said before, there comes a point in time, particularly given the amount of money from both Major League Baseball and other clubs that flows into this market, that have you have to look at your alternatives if nothing gets done,” Manfred said at Tropicana Field before Wednesday’s game against the Blue Jays. Whether that is just part of the rhetoric or a legitimate threat to take the extreme action of relocation — especially of a team with a solid lease agreement through 2027 — remains to be seen. But in saying it’s clear the Rays not only need a new stadium but one “in an A-plus location,” Manfred, after spending the day in the Tampa Bay area talking primarily about the stadium with various parties, put the onus on government leaders to make something happen. 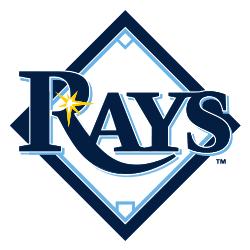 The Rays have been seeking a new ballpark for years, and an agreement approved by the St. Petersburg in January 2016 allowed the team to expand its search for a site in the Tampa Bay region. That agreement is good for three years, before it expires in early 2019. Most recently, a report indicated that Channel District-Ybor City area could be a leading site contender in Hillsborough County.